WASHINGTON—Today, Representatives Derek Kilmer (D-WA) and Doug Collins (R-GA) reintroduced a bill to prevent employers from sending jobs overseas by abusing a temporary visa program. The legislation would stop employers that are awarded temporary visas through the H-1B program from using them to train workers in the United States then move those jobs to another country. 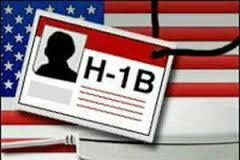 H-1B visas allow American businesses to hire foreign professionals if skilled American workers are unavailable to fill job openings. The employees must have expertise in fields like science and technology and generally have college degrees. This week, 60 Minutes reported that unscrupulous employers have utilized the program to bring foreign workers in and displace American jobs. This follows reports last year that American workers were forced to train H1B visa holders to do their job so that the jobs could be permanently outsourced to foreign workers.